Ever since Bernard and I moved to South Africa in 1999, I have had a moderately optimistic outlook on the future of my country. However, the events of the last few years have been discouraging. But when I look at the rest of the world, I realise that we are not the only nation in trouble. South Africa is still plagued by PU I – Poverty , Unemployment , Inequality – and the government is doing little to address these issues. While I am not physically involved, I do provide modest financial support to several not for profit organisations. In most cases I selected these because I know one or more of the principals , mostly white people , although many people of colour are also involved in this sort of activity , all with little public recognition. Also , I am satisfied that these Not for Profit organisations are effective, very much needed, and have low overheads. “Cadre deployment “(a.k.a. “jobs for pals”) continues , with predictable and disastrous decrease of efficiency in all government enterprises : ESKOM, our Electricity Supply Commission, has re-introduced “Load-shedding”, which is a minor inconvenience ; this was put in perspective by my Zimbabwean visitor, Niki, who arrived at night when there was no power. We do get warning of impending load-shedding, which lasts 2 & ½ hours, whereas in Harare, the capital, where Niki lives, there are no warnings, and power may be off for three days. Other government enterprises show similar inefficiencies, and often corruption, as well. The CEO of SABC (South African Broadcasting Corporation), for example, does not even have a matriculation certificate, as he had claimed. PRASA (Passenger Rail Agency of South Africa) recently ordered new locomotives, one of which derailed, with six carriages full of passengers, on its first journey. SA Post Office was on strike for some months, and even now there are delays in delivering the post. SAA (South African Airways) discontinued direct flights from Cape Town to London. This had been a very popular run: it was rumoured that it was cancelled to punish Cape Town for being the only municipality that is not under the governing ANC (African National Congress). Rand 4,200 (£200) per month is reckoned to be the lowest sum on which a family can live above the poverty level, yet most workers (90% or more) in domestic service and in agriculture earn below this. And in manufacturing industry and transport, half the workers fall below the poverty level. These are dire figures , and solutions are made more difficult by the composition of the governing ANC ,which is a tripartite organisation, comprising the ANC, COSATU (Congress of South African Trade Unions) and SACP (South African Communist Party. Recently, all three parties have witnessed bitter in-fighting. There is no coherent policy on how more jobs can be created, given that the latter two favour more state control , and ANC leans to market forces . Some commentators predict that the government is likely to move to the right in the future. take place on a daily basis , and have recently extended from the poor townships to the universities. 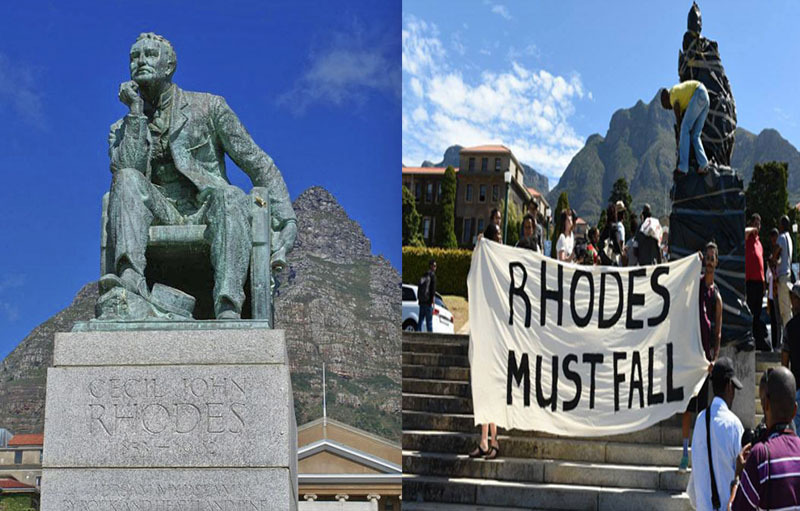 At the University of Cape Town .a campaign called “Rhodes Must Fall” started ,with some students demanding the removal of the statue of Cecil John Rhodes from the University. It soon spread to other universities, and escalated into general, and often vague, demands for more rapid transformation, i.e. for more blacks to be seen in all positions on the campuses. Students also alleged that Affirmative Action helps mainly a small number of children of black elites. There are also constant demands for more transformation in sport, particularly in international rugby and cricket matches. 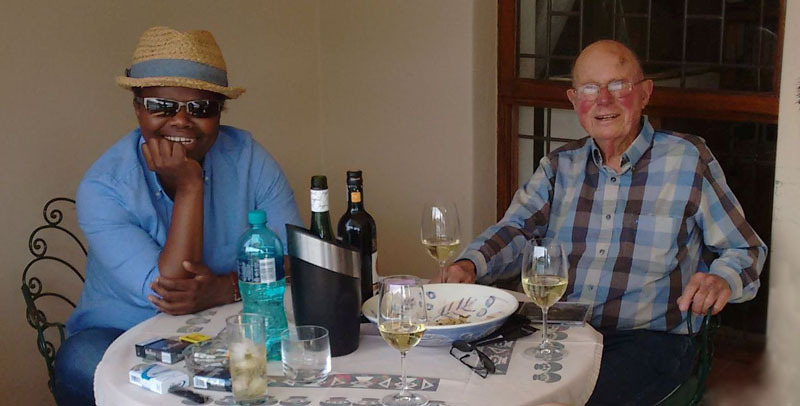 I have mentioned before the example of the Professor of Opera Emeritus at the University of Cape Town , who coached a number of coloured and African singers who are now well known on the international stage. He did this by listening to church choirs and selecting young people for further training: it worked. T he same procedure could be used for transformation in sports. Recently, in the first match of the Rugby World Cup. South Africa faced Japan: it was generally assumed that S.A.. would trance Japan, which is not renowned, as is South Africa ,as a major rugby playing nation. But, to much consternation, frustration. disbelief, exhortation, dismay, criticism and shock, little Japan beat South Africa 34 to 32. Judging by the attention in the media one would think that this was a national tragedy. In the last 15 years there has been a noticeable increase in racist attacks (both verbal and physical, sometimes brutally) and allegations of racism, both of black on white and of white on black .Most physical attacks are, of course, black on black, given that they constitute 80% of the population, and also include the vast majority of the poor and dispossessed. During all my adult life, I have read – whenever conditions permitted – a daily newspaper. Although I now supplement that with various online sites, I still like to hold a newspaper in my hands. But recently a Dr. Iqbal Servé became chairman of Independent Media, the company that owns most of our main newspapers ,including the local Cape Times, which has deteriorated sharply, with many of the leading columnists and journalists leaving , or being fired. When my subscription expires this month, I shall not renew. I cannot help glancing at it now, and I conclude that there is very little, if anything , that is remotely edifying. The trials and fates of Oscar Pistorious and Shrien Diwani (both accused of causing the death of their women partners, both found not guilty of murder) are given much space, as they are in the international press ,which also gave overwhelming coverage to the illegal shooting of Cecil, the lion, in Zimbabwe. Of course, news of rugby and cricket matches, particularly when South Africa is competing internationally, are fully covered. is the location of President Zuma’s controversial private residence, built at a cost of Rand 246 million ($20 m). 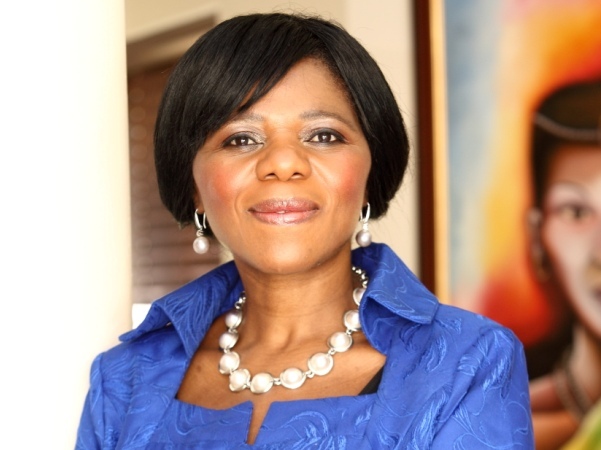 The courageous public prosecutor, Thuli Madonsela, determined that the president should pay part of the costs, which included a swimming pool ,cottages for security personnel, cattle kraals and many other buildings. A Parliamentary debate was thrown into chaos when members of the irrepressible Julius Malema’s EFF (Economic Freedom Front) shouted in chorus “pay the costs, pay the costs”. A Parliamentary group ,including members of the opposition DA (Democratic Alliance,) was taken to the site, and determined that the buildings were “cheap and shoddy” and that construction costs had been much inflated by fraudulent contracts. The national police commissioner, General Riah Phiyega, who was in charge of the police at the time of the massacre, has been much criticised, with many demanding that she be replaced. She recently sent an SMS to an opposition MP who had dared to criticise her: I am black, proud and capable and get it here you can take nothing from me eat your heart out I am not made by you and I cannot be undone by you. (Ipsissima verba). While I welcome the appointment of women to high positions, it is scandalous that such a senior government official can send such a message, which resembles a hysterical school girl rant. Our Parliament does pass some weird legislation. For example , from earlier this year tourists visiting South Africa from certain countries are required to present themselves in person to a South African embassy or consulate. Among other results , this has drastically curtailed the growing number of Chinese tourists, some of whom would have to travel 1000 miles to reach a South African mission. And this month a Deputy Minister proposed that South African citizens should be restricted to only one – South African - passport It was supposed that the reason was to stop South African from serving in Israel armed forces !Fortunately, a senior official countermanded this suggestion. Last month marked the third anniversary of Marikana, the Lonmin Mine where 34 striking workers were shot and killed by the police , and 78 were injured. A committee, presided by Judge Fanlam, heard testimony from some of the involved parties ,and finally issued a report, not apportioning blame to anyone in particular. It seems that all three parties – the government, the mines, and the trade unions – are at fault. Miners are threatening to go on strike again, demanding a starting monthly wage of Rand 12,500 ($1000). The mines say that, with plummeting prices for gold and platinum, they cannot afford such increases , and the government does nothing. Housing conditions for many of the mine workers are deplorable; despite promises, the mines have done little to improve them. In a separate action , five teams of lawyers, in South Africa and in the US, are seeking to bring a class action against the mines on behalf of 69 miners who contracted silicosis or tuberculosis while working for the mines since 1965. It is estimated that over a 1/4 million miners, in South Africa and neighbouring countries ,have been affected, many of whom have already died. The mines deny responsibility. Another strong contender for the Presidency is Nzosazana Dlamini-Zuma, a formidable lady, an ex-wife of to Jacob Zuma, and who is presently Chairperson of the AU (African Union). One bright location in this depressing scene is the Constitutional Court, which has several times insisted on the Constitution being followed, to the anger of many senior government personnel . As I write, there is great concern about the health of Desmond Tutu who is receiving treatment in hospital for long-standing prostate cancer. As General Secretary of the South African Council of Churches, Tutu was awarded the Nobel Peace Prize in 1984, and he was Archbishop of Cape Town, the leading position in the Anglican Church, from 1986 to 1996. He is in the ranks of Nelson Mandela, as a tireless and effective fighter for human rights, particularly in the dark days of apartheid, and he has not been afraid to criticise the post 1994 government. Every year, thousands of young African male teenagers go “into the bush” for 2 to 4 weeks for elaborate ceremonies to mark their entrance to manhood , a central part of the ritual being circumcision. Government does try to regulate these rituals, but there are many unregistered initiation schools , with 150 being shutdown this year alone. Many operators are unskilled, and work with unhygienic equipment, leading (this year alone)to 32 deaths and 150 hospitalised, mainly among the Xhosa in the Eastern Cape. Government officials regard this as a delicate matter, not wishing to interfere too harshly in “traditional matters”. (ANC has overwhelming support among the less educated rural population, who are more wedded to “tradition”.). No wonder that a book on circumcision has been called The Unkindest Cut. Re-reading my annual report for 2014, which most of you received, I see that little has changed in my admittedly rather lazy lifestyle. To bring you up to date on my state of health , I mention a recent incident, when I registered with a new dentist. (My former dentist practises a half hour’s drive from my home, and these days I restrict my driving to Fish Hoek and its immediate environs.) A questionnaire asked whether I had any serious illness , and on answering in the negative, I realised how lucky I am . I do have several minor medical problems, but they are all taken care of by Madeleine Acton, my outstanding GP. A second question asked what medications I took , and I told the receptionist that there was simply too many to list. When I was a small boy, about seven years old, I watched my dad packing for his regular trip (by train, we had no car in those days) to Pietermaritzburg , to attend the sitting of the Natal Supreme Court. I was puzzled by the number of pills that he was sorting out for his journey. Now I am exactly like my dad, taking at least ten pills each day. For some time I have been bothered, like most elderly men, with nocturnal leg cramps. I was waking up four or five times in the night, and having to get up stretch before I could go back to bed. In desperation, I turned to the Internet , where I discovered that many had found relief in a very strange remedy: inserting a tablet of fragrant soap between the sheets. It worked for one night, and then had no effect for several nights , and now relief has started again , which gives me blissful, peaceful sleep :it sounds like magic ,but as long as it works I will keep on putting the soap - an ordinary bar of LUX soap - between my sheets. A final (boring, sorry ) note on my health: I can walk (not very briskly) on the level, but ascents leave me winded, and I get wobbly (even without having a glass of wine) on stairs. Lorraine, my kind neighbour, gave me a panic button, a sensible precaution, living on my own. In July, two of my dearest friends – Enid Bates and Martin West – died, causing me, apart from missing them, to think on my own mortality. I resolved to facilitate the task of my niece, Chris Moir, who is my executor, so I (a) revised my will , and (b) started to sort some of the accumulated clutter in my home. Elke, who lives in Fish Hoek and who joins me for weekly dinners – at my home, because I do not drive at night; we alternate in providing the food ,and we always have much to talk about. Elke has just published a short book, Can We Talk.... Will I Listen? A journey towards the healing power of dialogue. An endorsement (by my friend Professor Pumla Gobodo-Madikizela) on the back cover states: "as a descendant of parents who were swept up in Nazi ideology, and having become an adult during the height of silence about this past in Germany, Elke was conscious of the need for dialogue about the past in South Africa, especially at a time when issues of race are dominating public debate.."
I met Elke in unusual circumstances: as a schoolboy I was friendly with our neighbouring boy, Alistair Dark, whom I mention a few times in Brokie’s Way. In 1995, when we were living in England, Michael, a mutual schoolboy friend , told me that Alistair and his family were living in London and suggested that I contact them. I was reluctant at first, because I had not seen Alistair since my brother Paul’s wedding in 1945. Fortunately, Michael persuaded me , and Alistair and I easily resumed our old friendship. 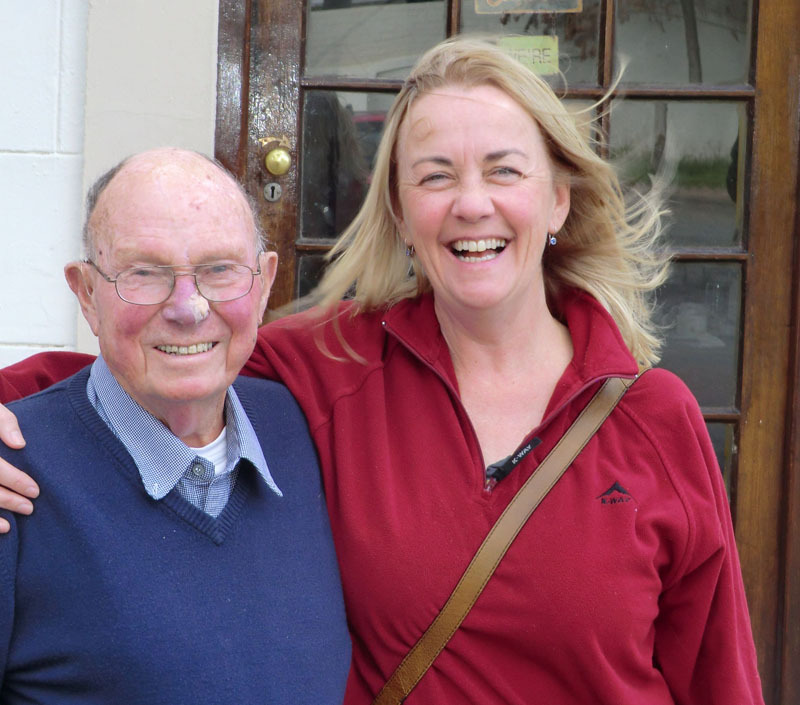 Through Alistair, I met his daughter’s friend Elke ,who moved to South Africa - and settled in Fish Hoek - in the year 2000 just one year after Bernard and I had come here. 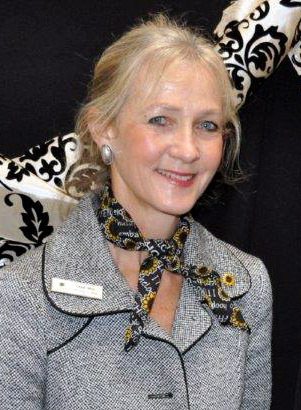 For many years Elke ran a non-profit organisation, NALA, encouraging African women entrepreneurs. My niece Chris lives not far away, and keeps in regular touch; Chris is the main person at the Sunflower Fund, which helps children with leukaemia. One of her main tasks is to persuade people, especially Coloured and African people, to donate bone marrow, at which she is very successful. Elke and Chris, as well as Val West and Christopher, are my most welcome and much appreciated drivers, who take me to see plays, movies and concerts, to lunches or simply to see friends. I do go, from time to time, and only in the daytime, to Cape Town by train, but the trains between Fish Hoek and Simonstown, a stretch that includes my local station Sunny Cove, have not been operating for over a month , because of “sand on the line”. The road was built too close to the sea and the dunes. When I do go in by train, Christopher (below), who works in Cape Town but lives in Fish Hoek, drives me home. Christopher, along with Elke, is my most frequent visitor, popping in on his way home at least once a week, sometimes accompanied by his bright, lively Zimbabwean boyfriend, Taps (Tapuka). Steina, the (coloured) nurse who helped me look after Bernard in his last two years , is a remarkable woman, who comes for coffee and a chat about once a month. Her husband, Daller, who was a skilful builder ,is now disabled ,as is her eldest daughter who requires bimonthly and expensive treatment at Groote Schuur hospital . Steina’s two eldest sons have jobs and live away from home . Her daughter Avana, aged 16, has been accepted at a boarding school at Stellenbosch, which has a special pre-med three-year course: Avana hopes to be a surgeon. Two younger daughters are still at school and in addition Steina is looking after the daughter of her sister, who was killed in a road accident; this little girl starts primary school next year. Steina works as at a nurse at one of our retirement homes but her salary is not very high .Steina hopes to start a special nursing course which will allow her to be a nursing sister and to earn a decent salary. Despite all her burdens she is always well-dressed, composed and practical . Steina long ago agreed that should I need help in the future ,she will come and look after me, or if she not available, she will find a reliable substitute: this is very satisfying to me ,as I dread the thought of living in a retirement home .As a coloured person, she does not seem, to be entitled to the same befit as are Africans- even though she was certainly “previously disadvantaged”, to use the government phrase. I have many other friends, who live further away, and whom I do not see so often, and of course, I have you, my email friends , who occupy a significant part of my life. I invite friends for lunch or dinner about once a week; recently I prepared three meals in four successive days, quite unusual for me, but good to keep me on my toes. (I can - almost - hear Bernard, who did most of our cooking ,saying “Well done, Brokie”). I know that I am always going on about my early morning beach walks, but they really are an important part of my life: it is a lovely time of day, the outlook is glorious (I occasionally see dolphins, or whales), I enjoy greeting my beach buddies and their dogs, it is good for my morale, it gives me a chance to contemplate my life and it is encouraged both by my GP and by my physiotherapist. I do not watch TV, although friends provide me with movies, which I enjoy watching on my computer. So, reading occupies much of my time. I try to buy at least one book a month from Kalk Bay Books, our local bookshop , and I also make regular visits to Fish Hoek library ,which has a good collection. I usually check out (for a fortnight, renewable) five books, typically two non-fiction, often biographies (most recently of Chekhov and Mrs. Beeton), and three novels ,including at least one detective story ,preferably about an ethnic detective. 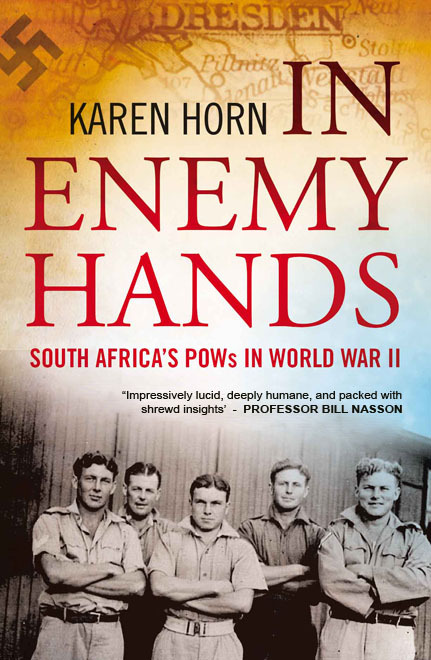 Karen Horn, a lecturer in history at Stellenbosch University recently launched her book In Enemy hands, which is based on her Ph.D. dissertation on South African Prisoners of War during World War II. I was pleased to be asked to join her “in conversation” at the book launch ,because reading her dissertation and discussing POW experiences with her, helped me to get my own experiences in perspective. up, to work out who I am, and prevented me from “going off the rails” or wandering hopelessly with no purpose – as happens to many young men at that testosterone filled period of their lives. 2) I do distinctly remember resolving that, when the war was over, (and we never doubted that we would win) I would do all that I could to stop myself being pushed around : I distinctly remember the German guard waking us at 5 a.m., on a wintry morning, “Raus! Raus! Alles raus!”. We were going to the Dresden Main Post Office for our morning shift. I resolved to be my own man , to the fullest extent possible, not simply to follow the herd. I do believe, sincerely, that it was this resolve that enabled me to agree when Bernard asked me, in 1954, to spend the rest of our lives together. That was not an easy decision at that time, and it was my resolve that gave me the courage to follow my heart – and thus have a marvellous 49 & ½ years with Bernard. 3) I applied for a scholarship to Cambridge in 1947, 20 students,(all white, all male) were interviewed for the eight scholarships, that had accumulated during the war, and I got the 8th. I am convinced that the trustees who interviewed me felt sorry for this young man who had been a POW for three years. 4) I do recognise that compared to many others we had a fairly easy time. I will add one more result : Julius Lister and I made a point of going to Germany in those post-war years, late 1940s – Julius on a Roots trip ; his father (who died when Julius was young) had been von Mengershausen, Julius’ mother had changed to her maiden name in WW2 because of anti-German feeling in South Africa. And I wished to come to terms with Germany, to get rid of (or at least diminish) any remaining anti-German feelings. We went first to a UN youth peace camp, and the next year we canoed down the Rhine, on both occasions meeting delightful, welcoming, lively young Germans, and this “worked the trick”. Another recently published book which gave me pleasure was Liz Wickins & Mike Wickins, Whispers from the Depths : The Kariba Story. 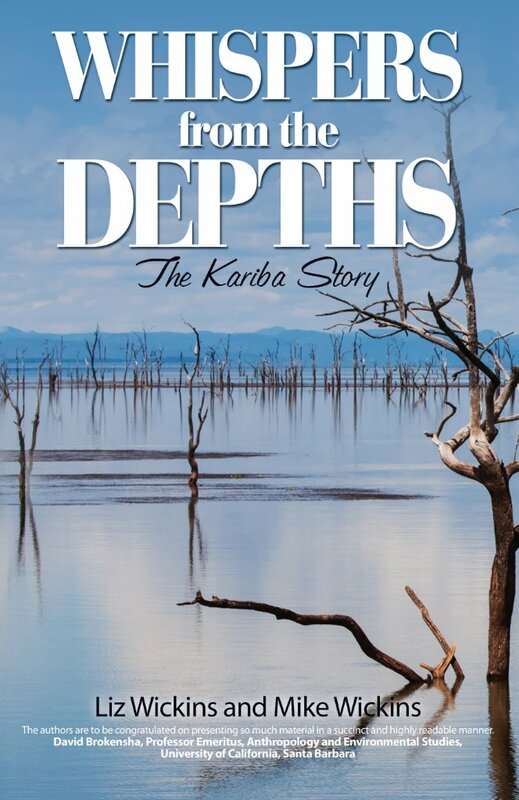 In my Foreword, I wrote : All the other volumes emphasise one particular aspect of Kariba: engineering, political, economic, ecological, sociological, wildlife, copper or resettlement. The Wickins’ volume is unique in providing a balanced, comprehensive summary of all the many aspects of the Kariba dam. Forgive my quoting myself, but I was glad to be asked to write this foreword; this, and my conversation with Karen Horn at the launch of her book, boosted my morale , persuading me that I could still make modest -and probably final - contributions. Aviva Carlin, daughter of my Rhodes University pal, Murray Carlin. Aviva, who lives in London, was on her way to St Helena on the RMS St Helena. My nieces Judy and Gail (Paul’s daughters and daughter in law, who both live near Durban) spent one night when they were at their timeshare in Seapoint. Kevin Leeman and Graham Hayter live in London. Kevin is the twin brother of Clive Leeman ,whose Ph.D. committee I was on at the University of California, Santa Barbara. Kevin was for many years the music manager at the National Theatre , and Graham manages a French string quartet, amongst other musicians. We spent two days at the Sunderland observatory ( a four hour drive) in the Northern Cape, with fantastic viewing of the heavens. Phumlani Malinga, whom I met through Christopher, did a law degree and works in one of our big corporations. On this occasion she came by train and spent the night here, because train travel at night is dicey. Niki Jazdowska was here for a week from Harare ,where she was born. When we lived in Sherborne, Dorset, we were friendly with a fellow parishioner. an elderly Polish lady . 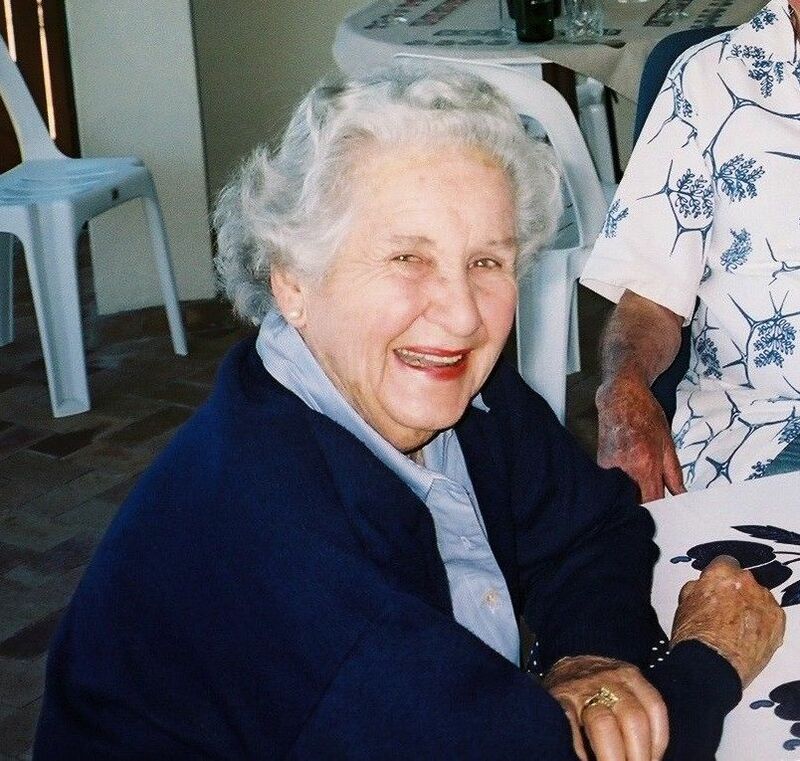 When she heard that we were going to Cape Town, she said that we must meet her Polish friend, who lived in London but spent three months each year in the Cape .. Serendipitously, her rented flat was three doors away from us in Fish Hoek. Niki, who came again in 2015, is her daughter. 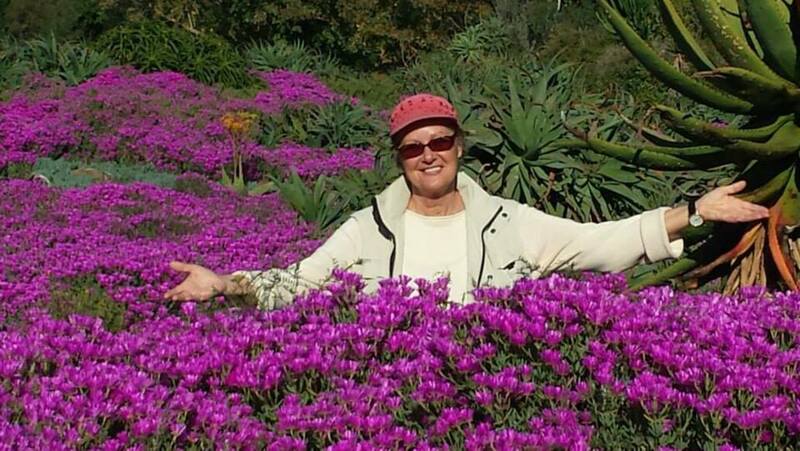 Mary Murphy, our Irish friend, has lived in South Africa for over 20 years; she spent some time on the Truth and Reconciliation Commission and then started the first commercial worm farm in South Africa. Gill Shepherd, an anthropologist who shares Bernard and my interest in forestry and fuelwood, was in Pretoria for a conference and came to Cape Town to see me. Mary Murphy drove us to Solms Delta, my favourite winery, which has an innovative system of giving farm workers shares in the business, as well as operating a school, a clinic, bands, football teams ,pensions and also has an informative small museum, which provides a capsule history of the estate from the 17th century, warts (slaves) and all. ( see : www.solms-delta.co.za. I like to take - or direct -my visitors to Solms-Delta, for the very positive achievements. The progressive owners are making significant improvement in the lives of so many people: Pumla Gobodo-Madikizela based her Inaugural Lecture (as Professor of Psychology at UCT) on this estate, as an example of what can - and should – be done. My sister-in-law Lizzie Brokensha was here last December , and she will come again ,for just over a week this December. Her main purpose is to see the graduation (post-graduate, Politics) of her grand-daughter, Amy, who is from New Zealand, and who has been a welcome and jolly visitor to my home. My first visitors in 2015 were my former student Peter Castro, his wife Denise, and their twenty something children Camille and Dave. I took them to KwaZulu/Natal to the Hluhluwe National Park and also to Fugitives Drift, a special guesthouse near the location of the 1879 Anglo Zulu wars. 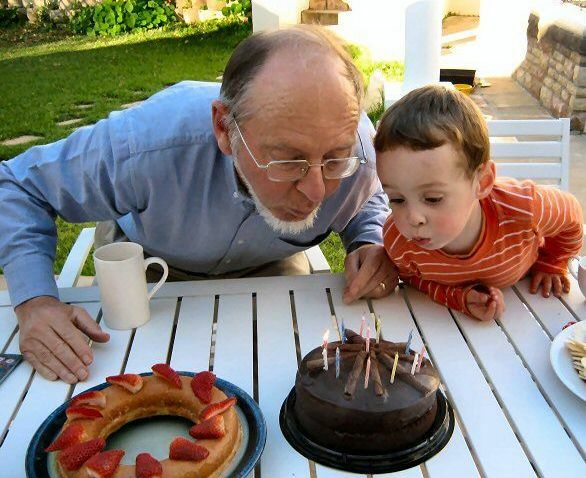 I met Per Nilsson about 40 years ago , when we did two fuelwood consultancies together in Tanzania. I had visited Per and his wife Vera in the north of Sweden, very near the Arctic circle. Per and Vera spent nearly a month in South Africa, spending a few days in the apartment at the beginning and also at the end of their travels. 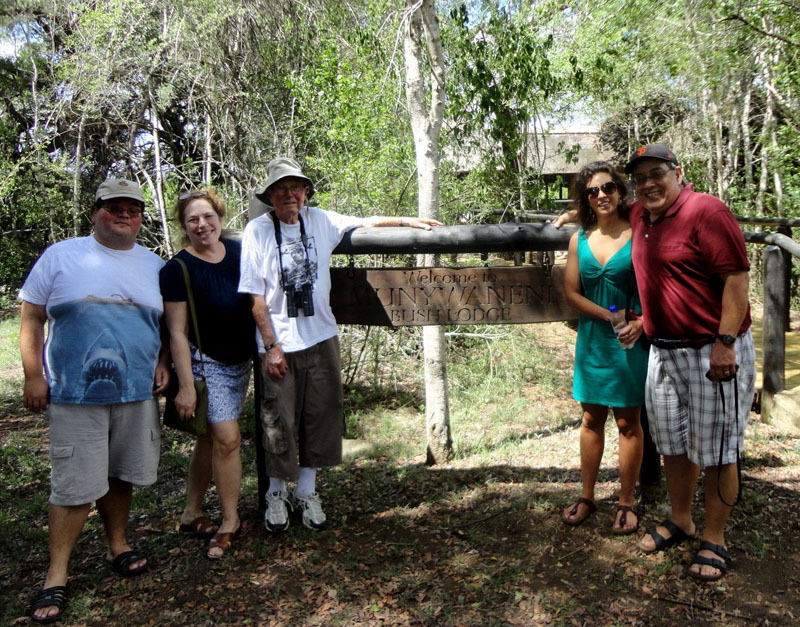 My most recent visitors were my Scottish niece Deirdre and her husband Peter: they had been here 12 years ago . My niece Judy flew from Durban to spend four days with us, and she drove us to the Postberg reserve in the West Coast National Park, a two hour drive . 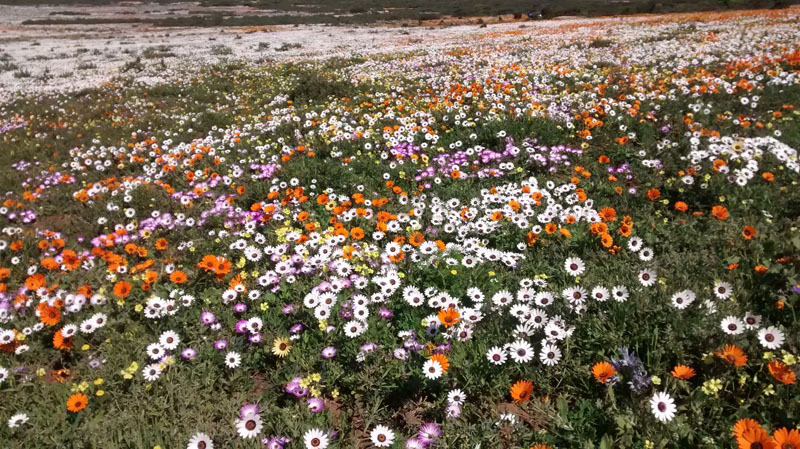 We saw the most spectacular display of spring wildflowers (above). Our two hour tour of “Historic Simonstown” was a first for me. Our tour guide, Joleen, is: coloured, a middle-aged Simonstown resident, a Ph.D candidate –and a first-class guide. Simonstown ( 8 kms away) is hilly, and because I cannot manage steep ascents, Joleen drive us, explaining the origins of the coloured people, how most of them suffered forced relocation, in apartheid days, to drab Stalinist blocks of flats, 25 kms distant, cruelly named Ocean View – for people who had had a glorious ocean view, some with substantial homes, and who now had no view. Joleen was very professional, let us see the tragedy of the forced removals, in apartheid days, without unnecessary polemics. Camille Castro was so enthusiastic about South Africa that she will be coming again , with her fiancé Gerad, over the Thanksgiving weekend in November. For 2016 I already have a three-day booking for my niece Robin who will be flying out from Florida with her husband Nigel, to meet her son AJ (Arthur John).In 1967, when Robin, then aged 20, lived in Bulawayo, Rhodesia (Zimbabwe) “a pregnancy sprang in” ( a phrase that I heard in Ghana) . Robin had to give up the boy for adoption. Robin’s sister Lindsay, who lives in Zimbabwe ,diligently tracked down AJ ; his birth date matched and the DNA tests were 99.9% certain. 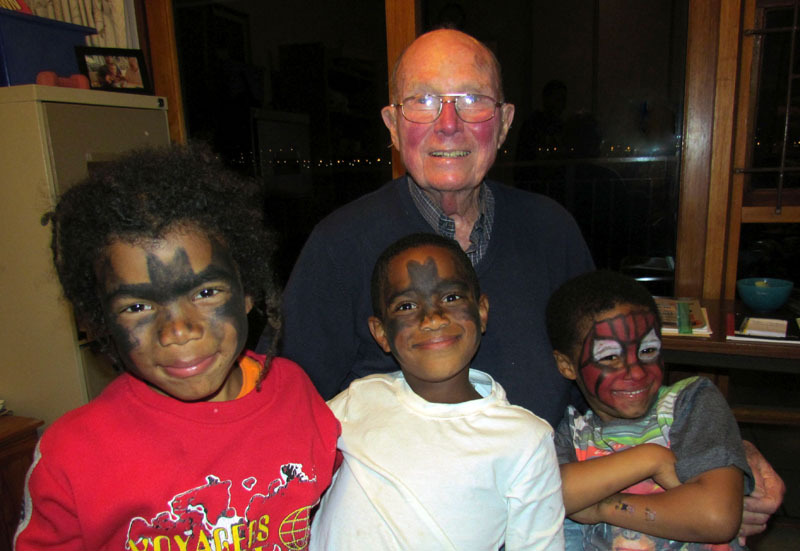 AJ lives near his adoptive parents, in Port Elizabeth, having been happily adopted by a family named Morris. By a strange co-incidence, Robin’s married name is – Morris. There has been a constant stream of emails and SKYPE calls, much excitement; I look forward to meeting AJ and his family in January. I am by now used to living alone , but I do enjoy my visitors, especially now that I have my grand “guest-room"). My computer friend Donald called in the other evening to help with my pc and brought with him his 7 yr old grandson Ceejay (centrer) and two of his friends. This is also my most recent photograph. 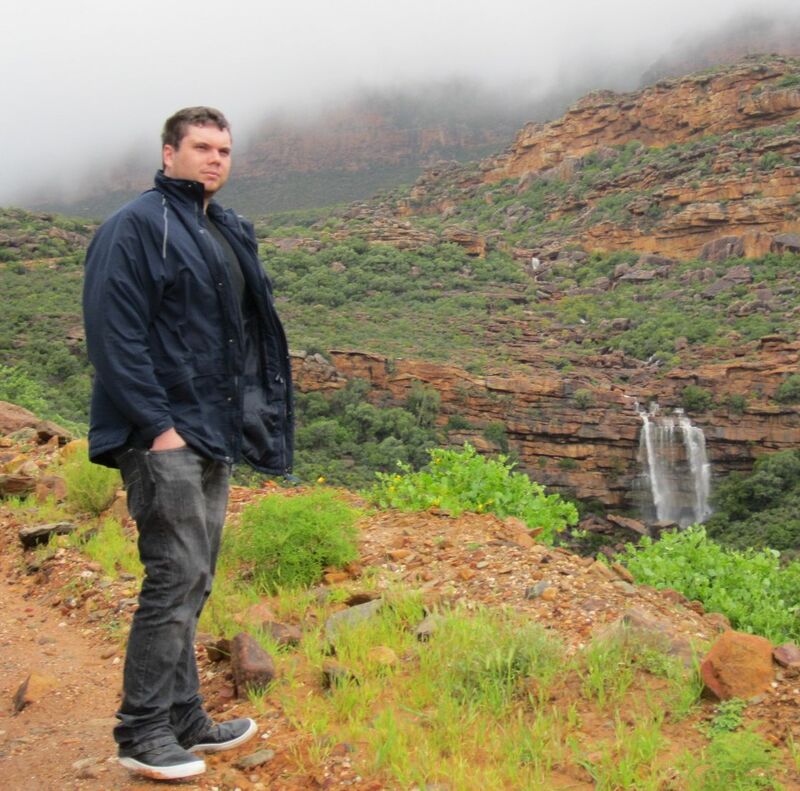 to access the personal writings of David Brokensha please click on one of the above links.